I'm not going to lie. I totally bought this for the cover. Then it sat on my bedside table for weeks because I wasn't actually sure I was all that interested in reading it. Eventually, when I had nothing else to read, I gave it a shot. Meh, my instincts were right. 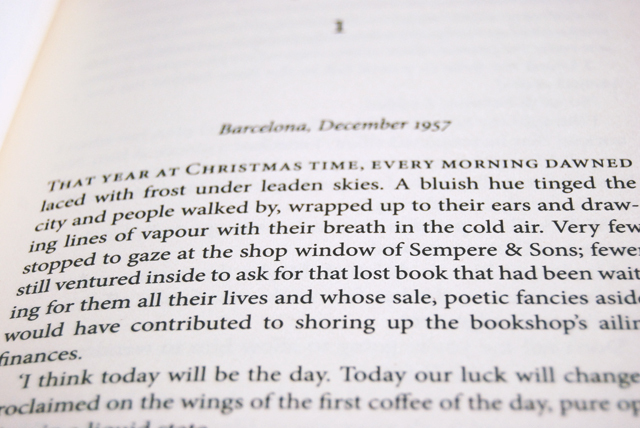 This book is one of a series but they are presented as discrete stories so that they can be read in any order. I did find, however, that some things were mentioned without context, such as the cemetery of forgotten books. 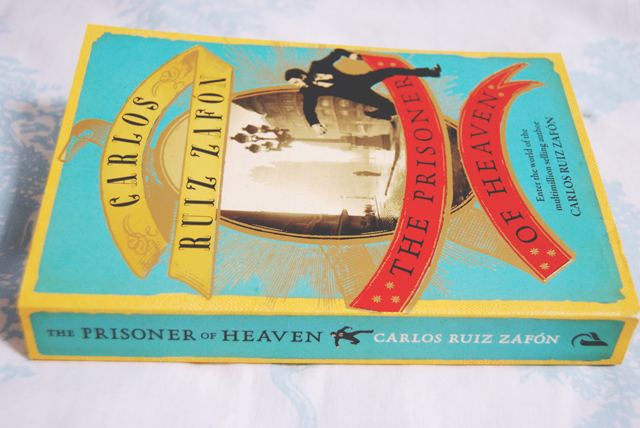 The Prisoner of Heaven tells the story of Fermin Romero de Torres, who was imprisoned for some reason that I've forgotten. Although the story was fairly engaging, I struggle in retrospect to understand the significance of his imprisonment. Maybe it was mentioned in the book and I just forgot. Perhaps it was assumed that the reader would make the connection. I'm not sure. One of my main problems, however, was Zafon's lack of elaboration. This could be a result of his intention being lost in translation, but during the dialogue, it was difficult to understand how the characters were interacting with each other. For a long time, I thought that Fermin and Daniel were enemies, because there was no indication of how they were interacting with each other- The words of dialogue were written without context. Some adverbs would have gone a long way. Overall, it was a fair enough stop-gap whilst waiting for something better to read. Perhaps I would have been more engaged had I read the previous books first but, after reading this, I have no desire to do so. I'd like to say that I'll give it a go but I probably won't after reading this one! I've read one of his before, for the life of me it escapes me now what it was called but it was really hyped up and I must admit failed to see why. 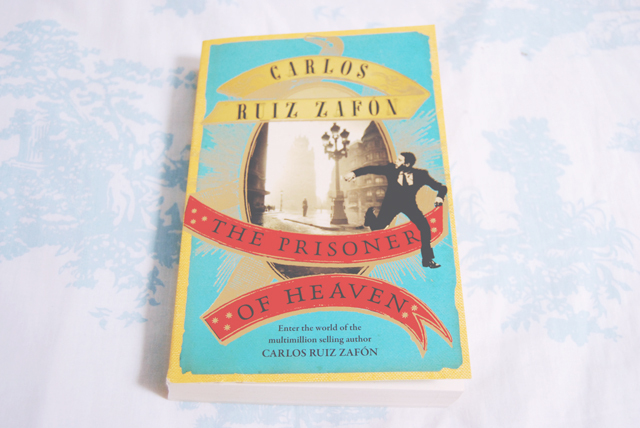 I have another on my shelf by him, Angels Game but to be honest I'm not sure if I ever will get around to reading it. I definitely wouldn't recommend it!